One of those enchanting picture books which shows us again how artistry can make sensitive readers. 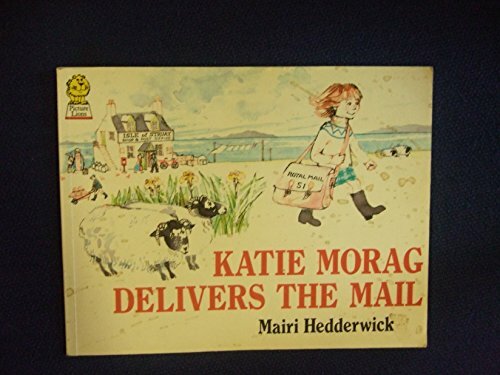 When her Mum can't deliver the mail on the Isle of Struay, Katie gets the chance to do it. Expansive pictures tell the story of the little girl's adventure. The young will read the diversity within the community, and I like the spirit of an author-artist who creates a Grannie who wants a spare part for her tractor! Things go a little wrong when everybody gets the wrong parcel, but Grannie helps sort it out in a beautifully secretive conclusion. The readers (from five up to nine) will read the story, then go back to read the jokes in the pictures. A splendid one, not to be missed. I hope we see more of the artist.